Hi! I'm Harper! 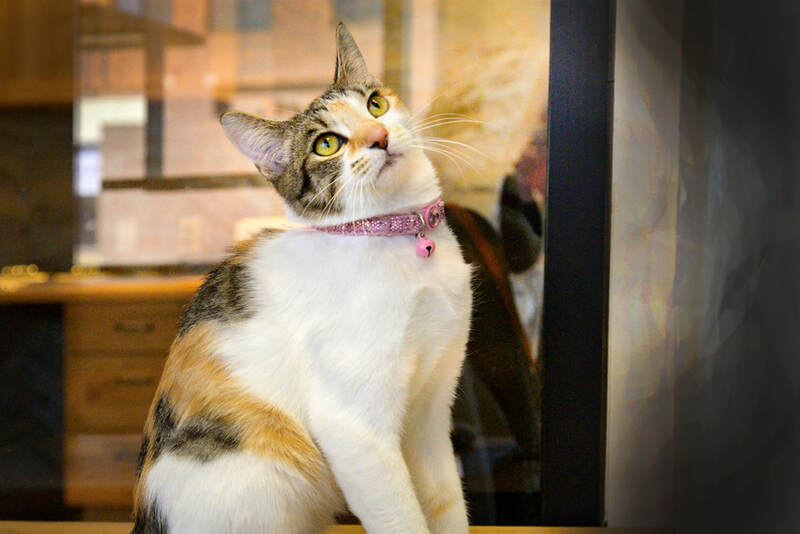 I'm a gorgeous calico girl! My brother Oliver and I are siblings and playtime pals! We love to play with our toys, with each other, and with humans! After a good game or two we're ready to snuggle up together so adorably in our snuggy bed. SDR says we can be adopted individually or adopted as a pair. We love giving each other a feeling of security and warmth, and yet we'll also be fine going to separate homes, depending on how much room you have in your life for fluffy sweetness! I recently got spayed and now I'm good to go. My dream job? Summer camp trail guide! That way I can explore all day and then come back to a nice meal and snuggle time. For more info and/or to apply to adopt either or both of us, go to the top toolbar, click Adopt, click Kitty Application; then fill it out and send it in. A nice volunteer from Summit Dog Rescue will get back to you as soon as they can.